Everything that surrounds us was once a dream that someone made real. What do we call the people who turn such dreams into reality? Leaders. When we bought our house, our lawyer found an old envelope in the conveyancing paperwork. 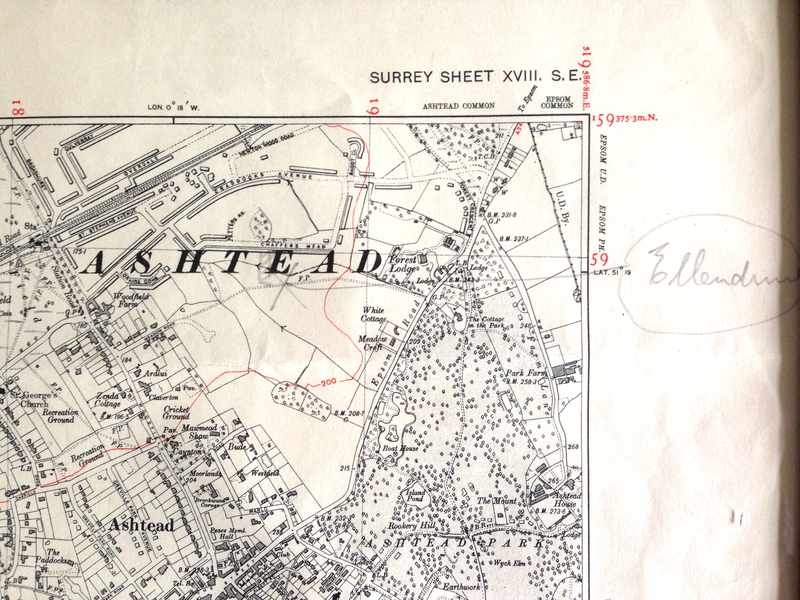 In it was an ordnance survey map of the local area. On the map, someone had drawn a small block and an ‘X’, in pencil, in a field, by a farm lane. In the margin, they had written a word: “Ellendene”. In 1938, the original owners had marked where they would build their house. They imagined it enough to give it a name. It had been their dream. Someone made it real. And now, after many years, their dream was now our house. All houses were once dreams. Not all of them have such stories, but for every house ever built, someone had to imagine what it would be. Then someone had to build it and turn this dream into reality. For every house, someone did. Unless we are standing naked in the wilderness (and, perhaps, even then) everything about us was once someone’s dream. The office I am sitting in? Someone dreamt what it should be like. The shoes I am wearing? Someone dreamt these up. The coffee I am drinking? Someone dreamt how it would taste and how they would serve it. The electricity that lights the room in which I am writing this? Someone dreamt how to generate it. Someone dreamt how to distribute it. Someone dreamt the design of the lamp that lights my desk. We are surrounded by dreams made real. Sometimes, our dreams are world-changing. Eradicate polio. Create the iPhone. Replace horses with automobiles. Stage the Olympics. Sometimes, our dreams change our own lives and those around us. Build a house. Open a restaurant. Choose a university. Launch a fund-raising campaign. Most of the time, however, our dreams are pretty mundane. Remodel the store-room. Grow sales revenues next year. Launch a product in a new way. Treat more patients than last month. Have our team work better. It’s ok if they are. They are still dreams. We have to imagine them. And then we need to make them real. What do we call the people who make dreams real? Leaders envisage what could be. Then they help the people who work with them to understand the dream, to have them want to make it real, and to understand what they can do to help turn the dream into reality. Because dreams are about what could be, they are about the future. Leaders help others to shape that future. Most of us may do so only in small ways, but when we do, we are leading. When we don’t, we let other people’s dreams shape our future. If we want our dreams to happen, we need to work to achieve them. Perhaps we all need to be leaders.